You have your ankle socks and then your knee-high socks, but like the old story goes, sometimes you want something that's just right. Yes, there is a world where performance, comfort, and durability exist between the two extremes, and it's called our Women's Mountain Mid Socks. 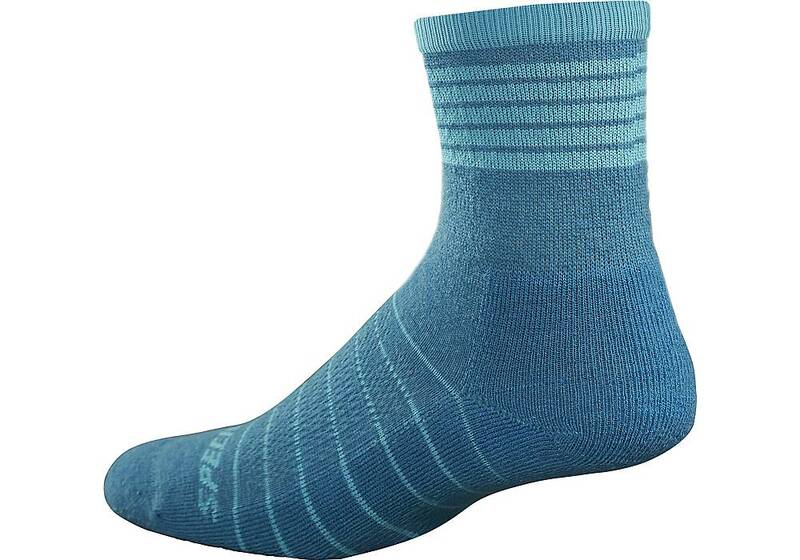 They have a moderate three-inch cuff height, and feature a lightweight blend of our VaporRize™ and Merino yarns. 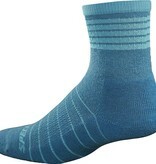 These yarns work in tandem to naturally control temperatures, manage sweat buildup, and fight odor. In other words, they're comfortable. And to further ensure this, we've included a mid-foot arch support and a light underfoot cushion to help absorb vibration and chatter from the trail.